Italian record producer was who a judge on Italy's The X Factor. She released a dance single called "Fantastic" in 2011 that came in at #2 on the Italian singles chart. She started out as a secretary at Ariston Records before moving to the Numero Uno record label. She did not return for the 5th season of the X-factor. She married songwriter Alberto Salerno and they had two daughters: Giulia and Camilla. 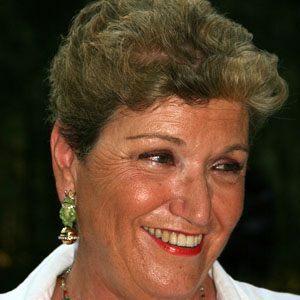 She produced the first three albums of Tiziano Ferro.